The Archbishop’s column on this topic is accurate and insightful. The topic, illegal immigration, or undocumented arrivals if you prefer, is multifaceted. I read where Japan and Italy are below replacement rates for population due to low birth rates for young couples. One day we may all face a global epidemic like Ebola or the “Plague” in the middle ages that modern medicine cannot contain. Unfortunately our elected legislators seem to be more intent on securing contributions for reelection campaigns than addressing legislative solutions to chronic and pressing problems. While some blame the “economic system”, I think that the greed and selfishness of some individuals is at least as big a problem as “financially led capitalism” that is part of globalization. And lets not overlook the dysfunctional societies in countries in Central America and other parts of the globe. Income inequality or the continued flow of wealth to those already super wealthy needs to be addressed through transaction taxes on monetary movements both domestically and globally. Otherwise people will continue to vote with their feet. This President has accomplished nothing productive, only distrust, division, and a total lack of moral behavior. He lies, takes extraordinary steps to stroke his ego, and in no way reflects the Light of Christ. Too many Americans, too many Catholic Americans, need to take off the blinders, stop being one-issue voters, and see things from a larger perspective. I am in California and am just familiarizing myself with Archbishop Chaput and am in no way an apologist for our Bishops. I know enough about my faith to know that by guiding us in morality issues in these dangerous times, our Bishops are not political, but are fulfilling Christ’s very mission. Spending time in front of the Blessed Sacrament may do any Bishop good personally, but that will have minimal benefit for the Church at large. I can almost hear Christ asking our Bishops, what are you doing here with me? Get out there and lead, do something, teach my people. We should not be condemning our Bishops while exalting Trump. We need to stop Trump and his hate and pray for our Bishops. Another victory today for religious liberty thanks to the Trump victory in 2016. We were told repeatedly there was no good choice in the election but the majority of the church going Deplorables knew better. Vincent Muller, thanks for the prayers I can always use them. Maybe my neck has gone stiff and maybe my heart hard or maybe I’m just sick of the Church leadership. Now I wait for another shoe to drop with another scandalous grand jury report. I guess you can tell me afterwards how most of the Bishops are right again. Joe, I can assure you that NO Bishop is in favor of child abuse. If you think the Church is not taking extraordinary measures to prevent future occurrences of this problem, then you can add a “fried brain” to your other problems with a stiff neck and hardened heart. Sorry, Joe! I really don’t think that your brain is “fried”! Maybe just a little confused! Thank you, Abp. 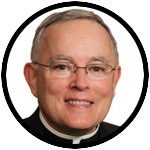 Chaput, for speaking out on this reprehensible action by Trump and his administration of caging and separating families- including babies and children – seeking political asylum. I agree whole-heartedly with the statement issued by the USCCB condemning these immoral actions. I have “zero tolerance” for Trump’s cruelty.